Cosmetically, the EX750 is a sumptuous 4K flatscreen, but limited HDR effectiveness and bewildering image options make this TV a cautionary buy. The only thing separating Panasonic’s five-strong line of EX750 LED LCD TVs and its OLED range toppers is the underrated but advanced TX-55EZ952. In terms of spec then, this is a well-appointed flatscreen fleet. The 50-inch model featured here merits 4K Pro status, and is HDR10 enabled. It’ll also support HLG broadcast HDR when that starts and is promised an HDR10+ firmware upgrade, as and when that becomes relevant. More specific attractions include a high transmittance Super Bright Panel and Enhanced Local Dimming. 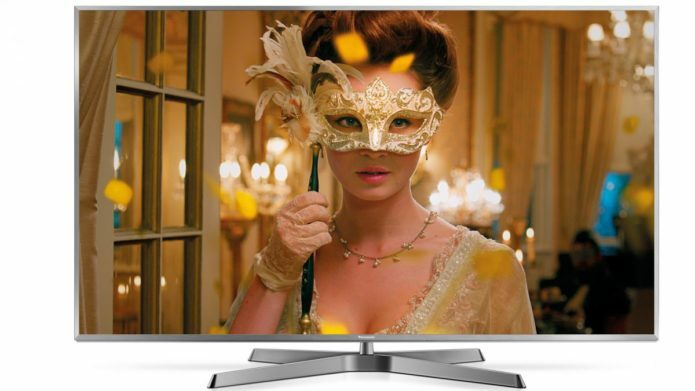 While 3D may be out of favour with most TV manufacturers, the EX750 even offers active shutter 3D, although no glasses are included in the box. There’s no quibbling the quality of the TX-50EX750’s build. This TV is surprisingly hefty, its bezel slim and chromed. 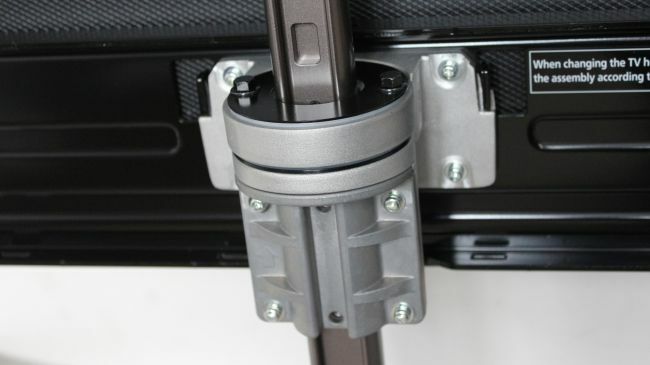 The height of the stand is adjustable; it swivels too. Panasonic inventively calls this Swivel and Lift – it’s worth noting that the lift function is not available on the 65-incher, while the 75-incher doesn’t swivel either. Stereo speakers are down-firing and hidden from view. A variation of this design is available in the Australian market, under the EX780 designation. Rear connectivity comprises four HDMI inputs, all HDCP 2.2 enabled, and three USBs, plus component AV phonos. There’s also a CI slot and optical audio output, plus Ethernet as an alternative to Wi-Fi. There’s no SD card support, which has long been a Panasonic staple. The IR remote control is an old school button fest, with dedicated Netflix button, alongside Home and TV Guide shortcuts. The set offers a choice of dual Freeview Play or two Freesat HD tuners. Design TL;DR: Adjustable Switch pedestal with manual swivel, and shiny metallic bezel make for an up-market appearance. The Smart OS is My Home Screen V2.0, which is essentially an updated version of the open source Firefox TV OS, augmented with an Info bar that pops up depending on which colour coded key has been pressed on the remote. The app selection is solid. Freeview Play offers a full suite of mainstream catch-up TV services (BBC iPlayer, All4, Demand 5, ITVhub), while Netflix streams in 4K and HDR, and Amazon Video and YouTube in 4K. Other services include Rakuten.tv (formerly Wukaki), BBC News & Sport and Chilli Cinema. Navigation is fast and intuitive. Additional niceties include favourites folders for multiple users, a customisable My App button on the remote and a revamped Media Player that supports 4K HDR10 and HLG content playback. 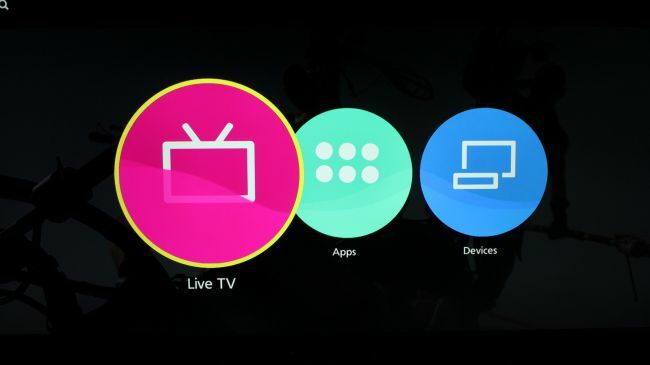 Smart TV TL;DR: Built on the open source remains of Mozilla’s Firefox OS, My Home Screen is an elegant yet powerful platform that provides frictionless access to the content you need, with some clever extras thrown in for good measure. The set’s everyday HD performance is fine, although the EX750 is probably the least straightforward TV Panasonic has ever made. It offers a fug of image modes and adjustments, some of which have a profound effect on picture performance. 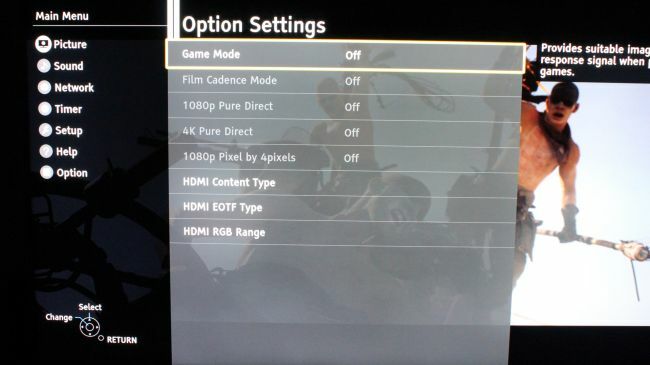 Ostensibly the menus are straightforward, offering the usual image presets (Dynamic, Normal, Cinema, True Cinema and Custom). However the TV allows a lot of tweaking. For brevity’s sake we kept Normal as our default for most content. Adding a little bit of ironic gamification, you need to explore the Option Settings in order to discover the Game mode. While we appreciate the amount of picture tweaking options available, they can be complicated to use. The EX750 represents a significant improvement in Panasonic’s motion handling on LED LCD screens. With this model, it’s possible to get an excellent performance for sports without incurring undue motion processing artifacts. Clear Motion, with Intelligent Frame Creation on Min, produces excellent results. But there’s a caveat. With Clear Motion engaged, you not only darken the picture, you compromise the set’s HDR performance. If you want to game on the EX750, it makes sense to engage the aforementioned setting. Outside of Game mode, input lag is poor at 102.4ms. However, switching it on sees a dramatic improvement. We measured it at 14.1ms, and this increases only marginally if you switch Clear Motion on. The panel’s ability to resolve 4K detail is unquestionable, however the less contrast-y Cinema and True Cinema image presets lack the impact of Normal and Dynamic, and should be avoided. The set is borderline HDR compatible/True HDR, and that’s not a good thing at this price point. It only just musters enough dynamic pop to exploit HDR encoded software, without falling victim to an image dimming algorithm. The EX750 doesn’t come close to the spectral ping that rival LED LCDs can manage. With various configurations, the set delivers a variety of peak HDR brightness measurements. Let’s be charitable and take the best, which was 432 cd/m2 (aka nits) with a 10 per cent peak white window. That’s just enough to celebrate the lighting effects in Star Trek Discovery (Netflix). In fact, there’s actually little difference between its peak white performance with SDR content and HDR. 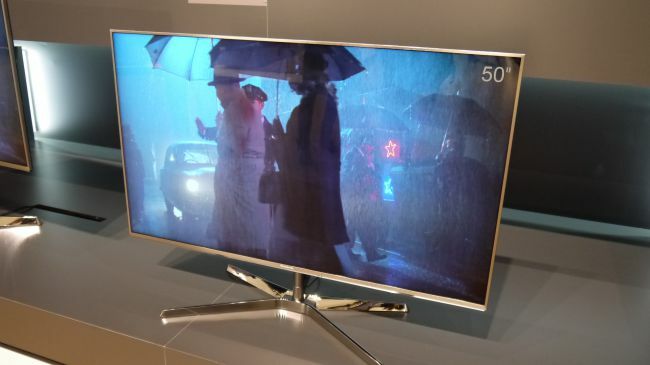 We’re tempted to say that what we have here is simply a relatively bright LED LCD TV rather than a fully HDR one. The set does a decent job with black levels, courtesy of Enhanced Local Dimming technology, although it crushes out near black detail. Still, this doesn’t impinge its ability to convincingly relate shadows and gloom. The opening tunnel fight with Elektra (Defenders, Netflix) features convincing detail and shadow. Audio performance is adequate but unexciting. The set provides 2 x 10w volume and reasonable clarity, although you’ll soon hanker after a soundbar. The EX750’s principal competition lies south of its price point. Hisense is particularly strong in this sector with the H55N6800, which offers more effective HDR, but isn’t as nicely built or well furnish smart-wise. Philips 55PUS6272 competes with added Ambilight mood lighting, and offers similar attributes. Both of these rivals are significantly cheaper. Ultimately, the TX-50EX750 is an odd duck. It’s undeniably a premium design, and capable of fine detail and crowd pleasing colour performance, but at times it seems like there’s an infinite variety of settings, all of which produce a slightly different picture. The premium ticket price is justified principally by the fancy stand and overall build quality, rather than image quality.